Much ado about Paris? | Jon Katz, P.C. Jun 12, 2007 Much ado about Paris? 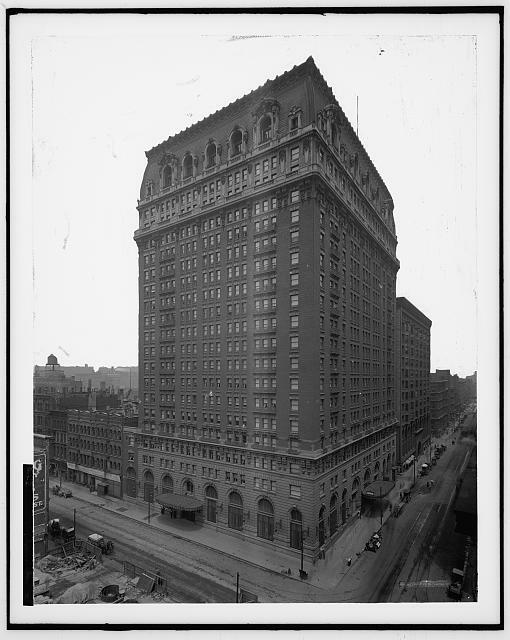 Hotel (not a Hilton) image from Library of Congress. The news media too often ill-advisedly overfocus on sensational stories that do not merit more than passing attention. For that reason, alone, I was inclined not to blog about Paris Hilton’s recent probation violation sentence and its aftermath. However, considering all the sensationalism over the Paris Hilton probation violation story, I thought I would provide a realistic brief perspective after someone suggested to me — apparently quite seriously, after Ms. Hilton’s transfer last week to home detention by the sheriff and before the judge sent her back to jail — that Hilton hotels be boycotted. As I understand it, Paris Hilton originally was sentenced to probation for reckless driving allegedly related to alcohol consumption. Recently, she was sentenced to jail for forty-five days for violating probation, after being picked up for driving on a suspended license. As with many high-profile celebrities in Ms. Hilton’s jail, the jail arranged for her to serve her sentence in a section of the facility that is separate from the general inmate population. Soon after Ms. Hilton entered the jail, the sheriff transferred her to home detention for largely unspecified psychological issues. Last Friday, the sentencing judge said he had not authorized the transfer to home detention, and ordered her back to jail. Last Saturday, Ms. Hilton said she decided not to appeal her return to jail. Many criminal defendants feel relief at receiving sentences that involve no immediate jail time, which describes Ms. Hilton’s original reckless driving sentence. However, once that relief is out of the way, defendants often must satisfy a wide range of probation conditions to avoid being incarcerated. Such conditions might include keeping appointments with probation agents, providing negative drug tests, maintaining full-time employment or education, entering and successfully completing alcohol and drug education and treatment programs, and not violating further laws. I have defended a tremendous number of clients accused of probation violations. Where I practice law, judges are permitted wide latitude in sentencing for probation violations, just as they are given wide latitude in issuing original sentences for criminal cases. Courts handle such a huge number of criminal cases that defendants and their lawyers must work hard to be treated as human beings rather than as numbers and statistics by those in the criminal justice system. For better or worse, Paris Hilton’s situation puts a human face on the hundreds of thousands of criminal defendants annually appearing in misdemeanor courts in the United States. Unlike countless criminal defendants, Ms. Hilton did not need to struggle to obtain the funds to pay a criminal defense lawyer, nor fear the loss of her job (nor of her housing and car for not meeting loan payments as a result of any loss of work from incarceration) from this court case. However, she did deal with — and publicly acknowledge early on — her fear of being locked up. Like so many defendants ordered locked up, she focused heavily on avoiding and minimizing such a fate. Did Ms. Hilton feel she was above most other people when she allegedly drove suspended? Many people do the same; in this instance, it was curious that she did so when she had plenty of money available to hire a driver at a moment’s notice. Was Ms. Hilton trying to get special treatment for her celebrity status? Perhaps. Whether or not she did, a common denominator among many criminal defendants is to use the resources at their disposal to try to minimize the harm against them in criminal court and in the incarceration system. Did she feel her privileged status had been overlooked, when she called out to her mother in open court when ordered returned to jail? Perhaps. She probably also called out to her mother as one of the only people other than her lawyers who demonstrated they truly cared about her (and not about her celebrity status), particularly in the midst of the media feeding frenzy on her case. Each human and celebrity is different and reacts to incarceration differently. Whether or not Martha Stewart was masking fear or just anticipated that her designated prison term would be manageable, she apparently handled her recent incarceration with external acceptance, external poise, and (externally) full and cheerful accessibility to other inmates. However, I doubt many people enter or continue incarceration with no fear at all. Jon Katz.